The 8-mile Metropolitan Branch Trail (MBT) runs from Union Station in D.C. to Silver Spring, Maryland. 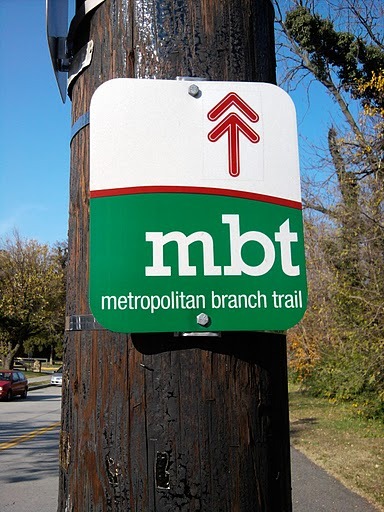 As opposed to the popular Capital Crescent Trail, which runs from Georgetown to Bethesda, the MBT is lightly used, at least if the trip last Sunday on a brisk fall afternoon is any indication. But the trail is one of the best kept secrets in our nation's capital. 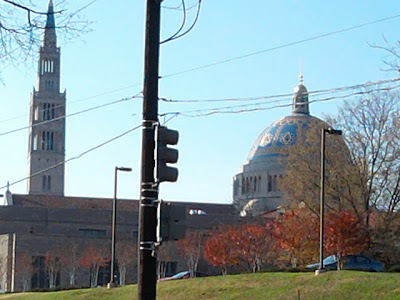 Much of it runs parallel to the CSX, Marc Commuter Line, Amtrak and Metro Red Line tracks northeast of Union Station. 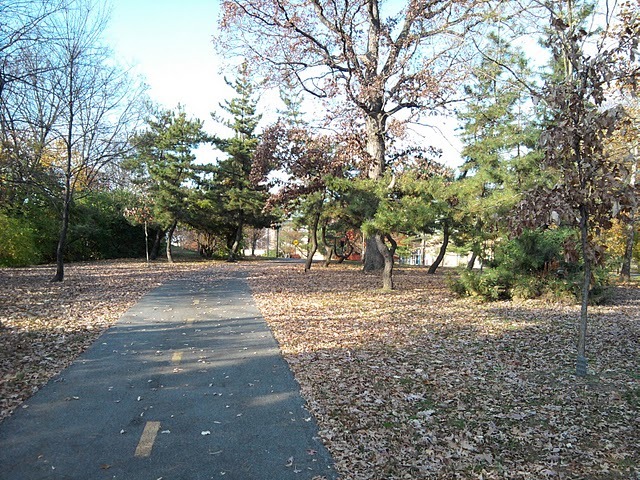 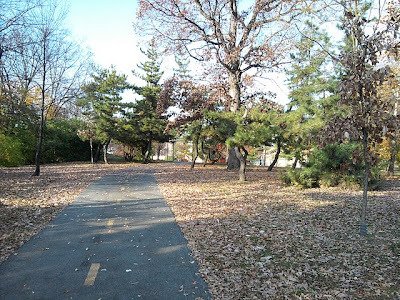 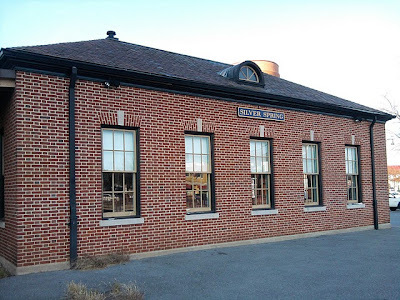 There are plans to connect the MBT to the seven Metro stations along the trail, and also to eventually connect the MBT to the Capital Crescent Trail, Anacostia Trails System and the East Coast Greenway. 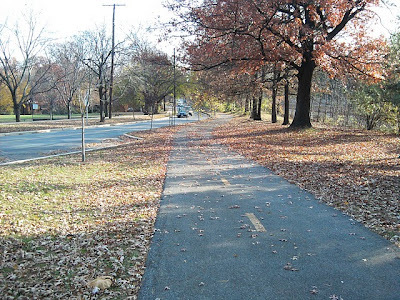 There are long stretches of the MBT that run along lightly-used streets through historic neighborhoods like Brookland and Takoma Park. 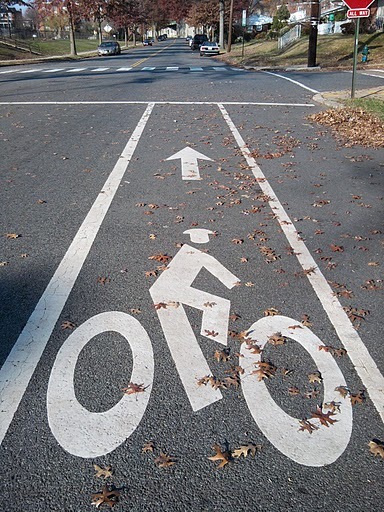 There are plenty of signs directing bikers such as the one pictured above, so you won't get lost while riding around the residential areas of Northeast Washington. 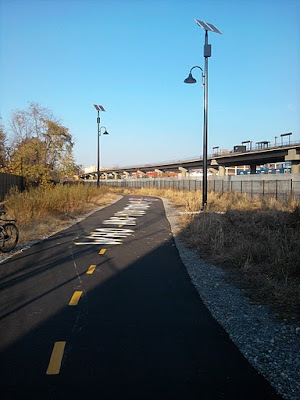 Here are pictures of the MBT. 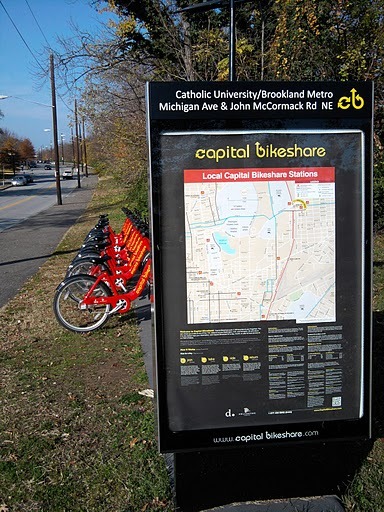 The Capitol Dome can be seen in the distance and the New York Avenue Red Line Station can be seen just to the left of the Metropolitan Branch Trail. 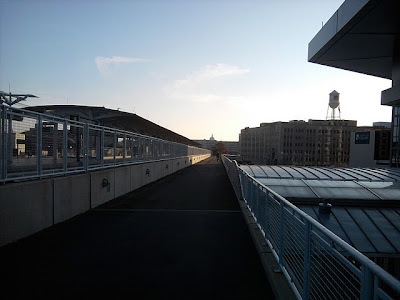 The MBT is a smooth ride heading away from Union Station. 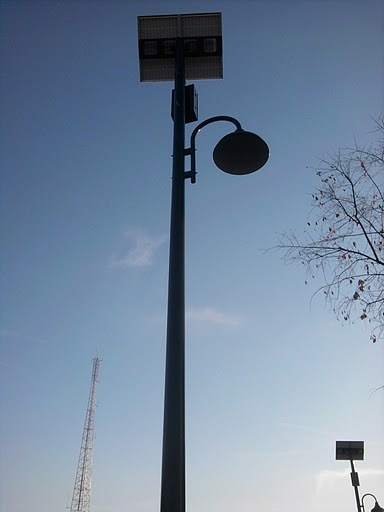 These trail lights are solar powered and use LED lighting. 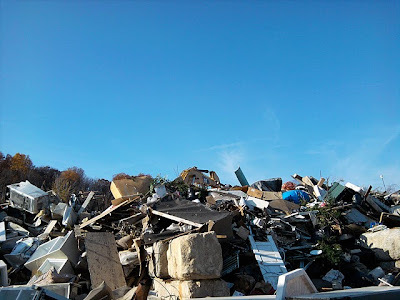 Wonder where your trash goes? Well, if you live in the District it ends up at the Fort Totten Solid Waste Transfer Station. Basically the big landfill you see above. 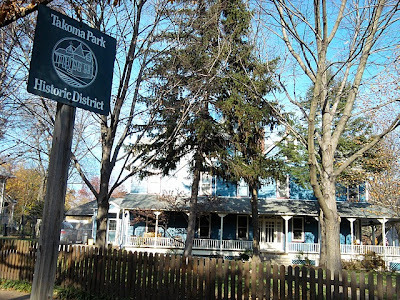 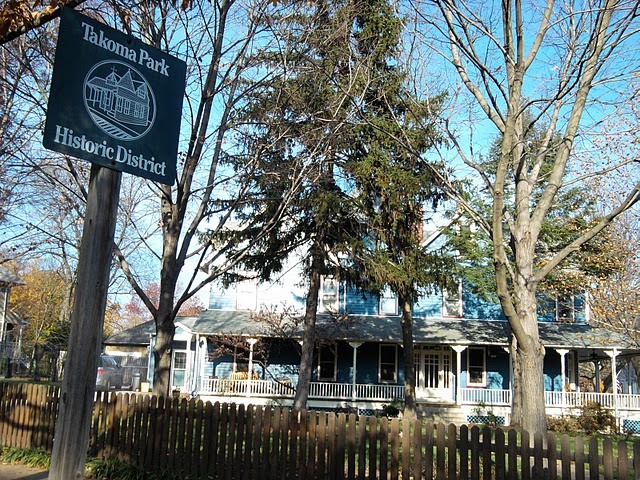 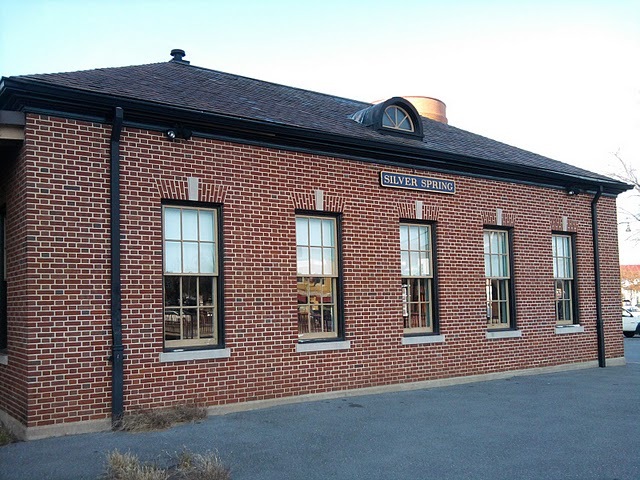 The trail goes through historic residential neighborhoods such as this one. 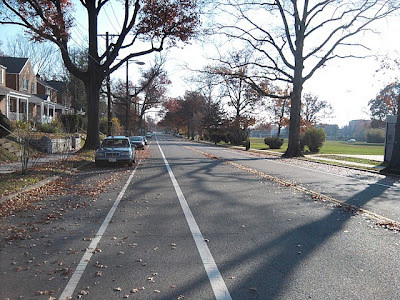 A wide bike lane in the Fort Totten neighborhood of D.C. 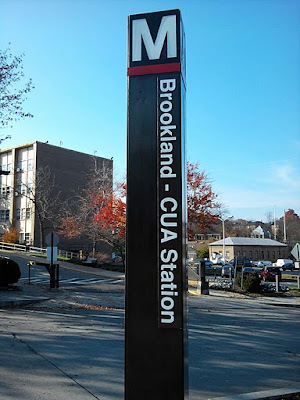 The MBT runs through the city of Takoma Park, Maryland, just across the District line. 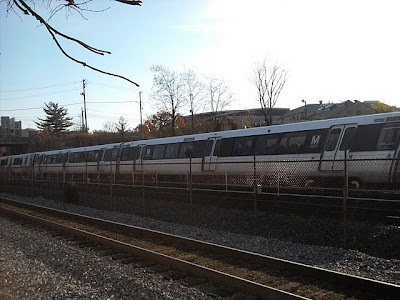 A Metro train passes on its way to Silver Spring.